Costume designer Irene Sharaff is well known for her beautiful work in West Side Story, Cleopatra, Meet Me in St.Louis, and many others. 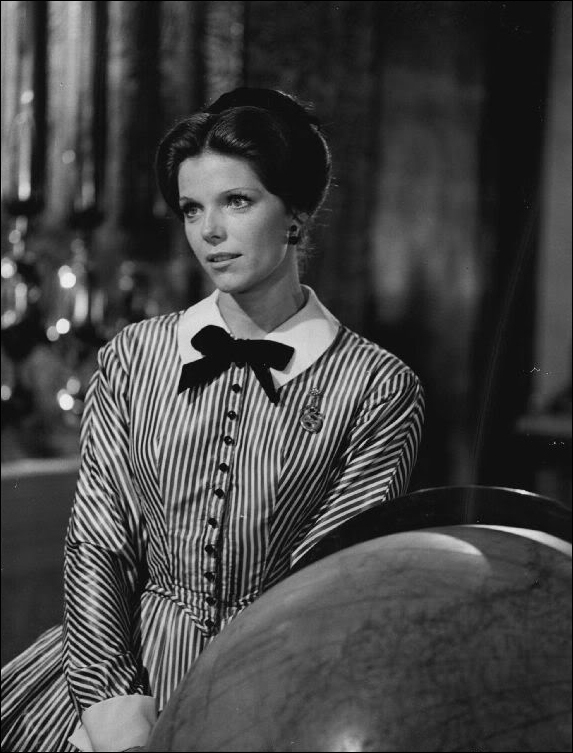 She worked in both film and theatre, and in 1952 she won the Tony Award for best costume design for Rodger’s and Hammerstein’s The King and I. 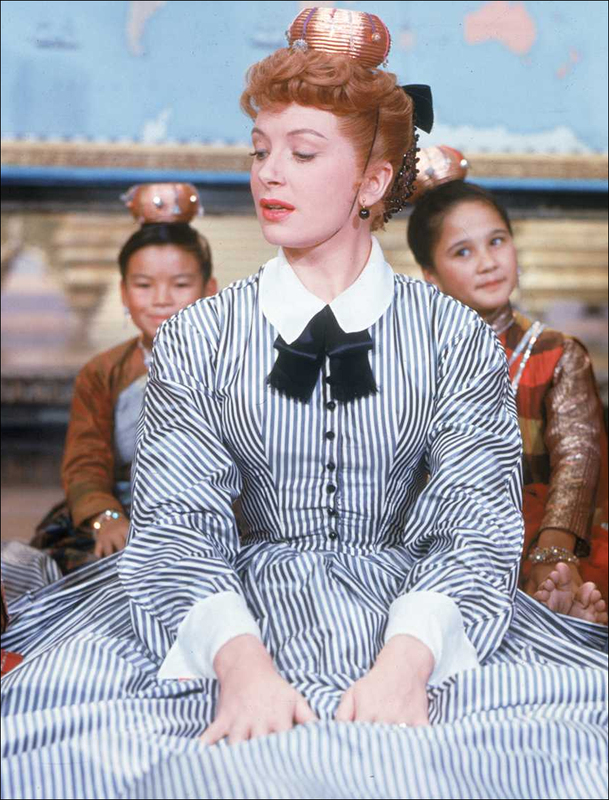 In 1956 she went on to design the costumes for 20th Century Fox’s film version of The King and I, which also won Sharaff the Academy Award for best costume design. This lovely striped dress was first worn on Deborah Kerr as Anna Leonowens in 1956. 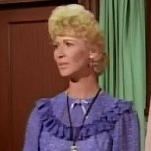 The 1972 television show entitled Anna and the King tried to utilize original costumes from The King and I when possible, and Kerr’s striped gown appeared again on Samatha Eggar as Anna Leonowens. 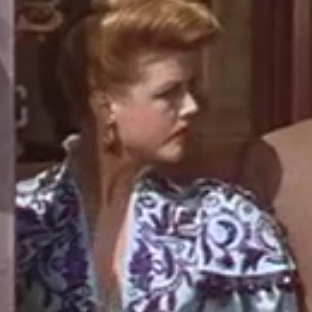 The gown appears mostly unchanged aside from the black bow around the collar.